Next From 2018 to 2019: Happy New Year! For our short story competition this year, we called for stories that looked into religion and how it manifests in everyday moments. We are happy to say the writers who submitted their work for consideration did not limit themselves to tangible explanations of faith or metanarratives that do little to question the dangers of religious belief, but considered the architecture of faith in fresh ways. It is from these works that we have chosen a longlist of stories we feel are informed by an urgent need for self-reflection, drawing on a broad range of concerns that plague Africa especially. Congratulations to all the writers! The stories will now go through a process of judging by our panel of three judges, who will decide on the shortlist and winners. Judges for this year’s competition are Malebo Sephodi (author of Miss Behave), Tendai Mwanaka (owner of Mwanaka Media and Publishing), and Lungile Zakwe (founder of AFRO-Freedom Book Club). Read the full announcement here. The shortlist will be announced in November 2018. 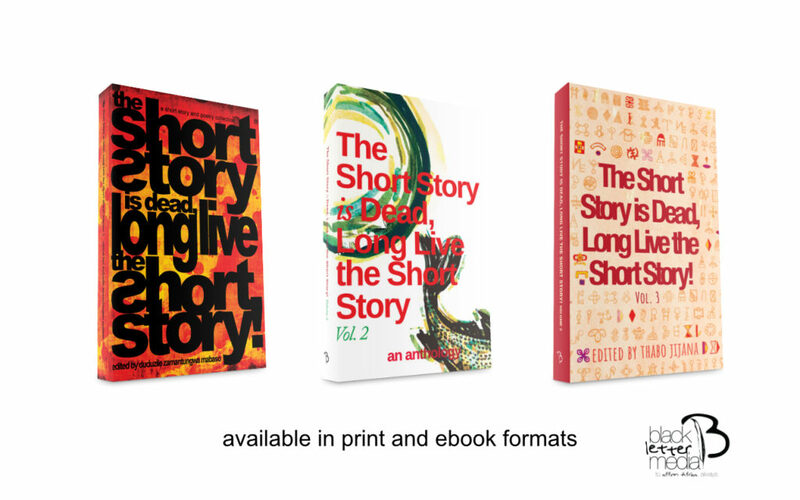 We will be announcing the winners at a launch of The Short Story is Dead, Long Live the Short Story! Vol. 4 later this year. Previous winners of this competition are Obinna Udenwe for his story Men Are Fools (2016) and Mary Ononokpono for her story Firewater (2017). Look out for the cover reveal and announcement of the launch date on this blog and our our social media feed. Congratulations to the winners. We’re all winners, one of this days, I’ll make this list too.